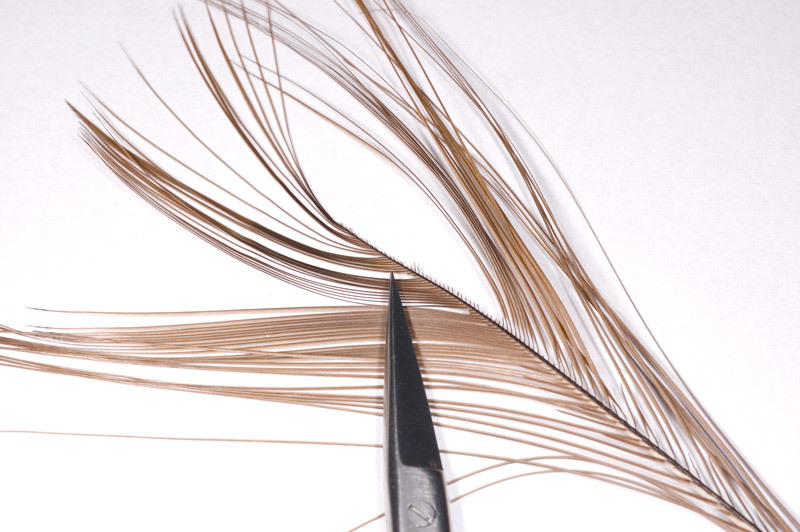 When talking about peacock quill everyone thinks about the stripped barbs of the feathers from the peacock’s tail. Everyone expects it to be wide, nicely colored, gradually from white to dark grey, with a glossy look as if it were waxed. 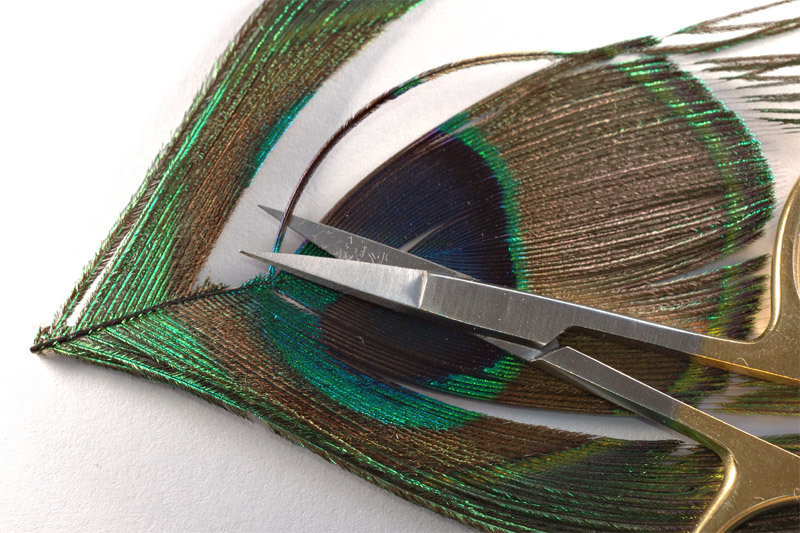 The peacock quill is used because it imitates very good the abdominal part of the dry flies and emergers. The problem is that a quill of high quality can’t be found anywhere in the feather but only in the area of the eye of the feather. Even so, good feathers are from peacocks older than 5 years. The young ones have thinner feathers and the quill is not so brightly colored. 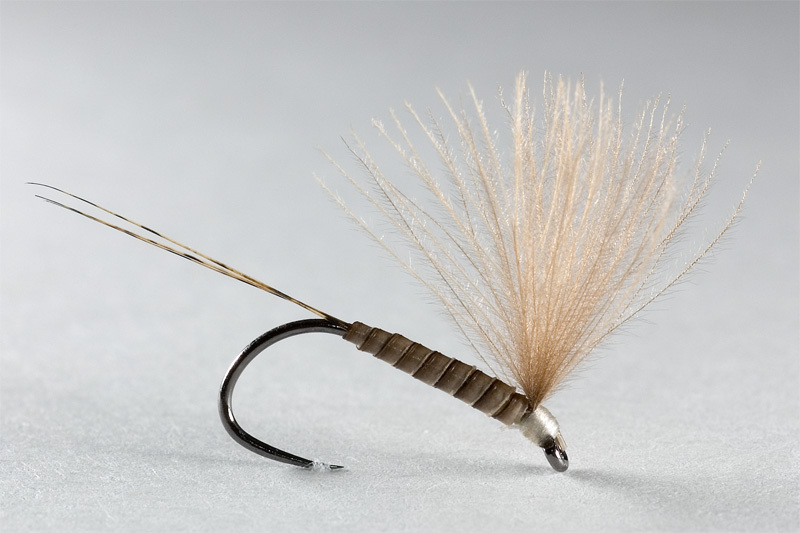 If you need to tie a large quantity of flies and you’re not in the mood to clear off the fine puff from the barbs with the rubber, there are stripped feathers for sale. 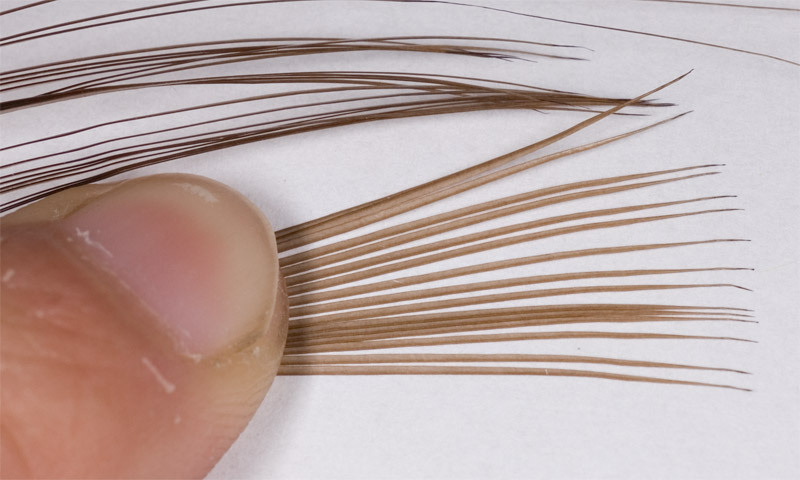 To obtain the stripped quills a chemical solution is needed, more exactly sodium hypochlorite. This solution burns the puff but it will also slightly affects the quill. For this reason it becomes more sensible and breaks more easyly if the tier is not too careful. An important advice: always fix the bottom of the quill and not the tip. The tip is more delicate and doesn’t have the needed colors, the hues are not so strong and won’t create the desirable contrast. 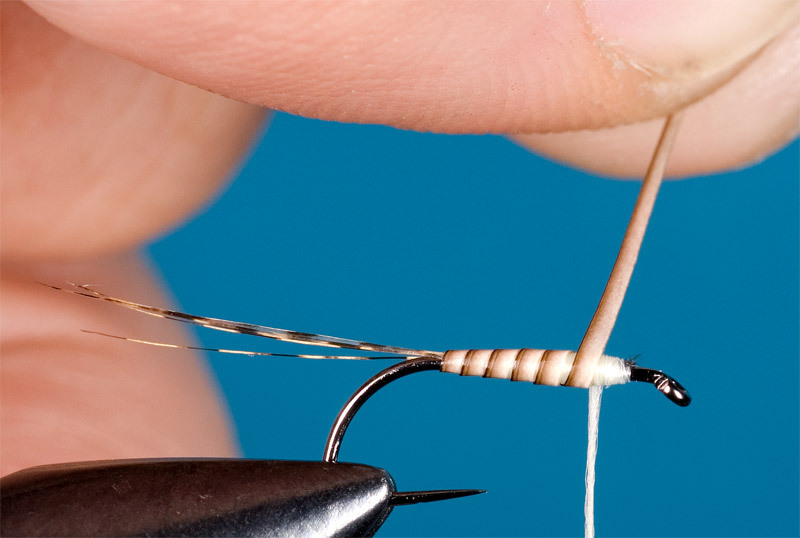 The barbs have a natural bent.Each of them are slightly bent towards the eye. 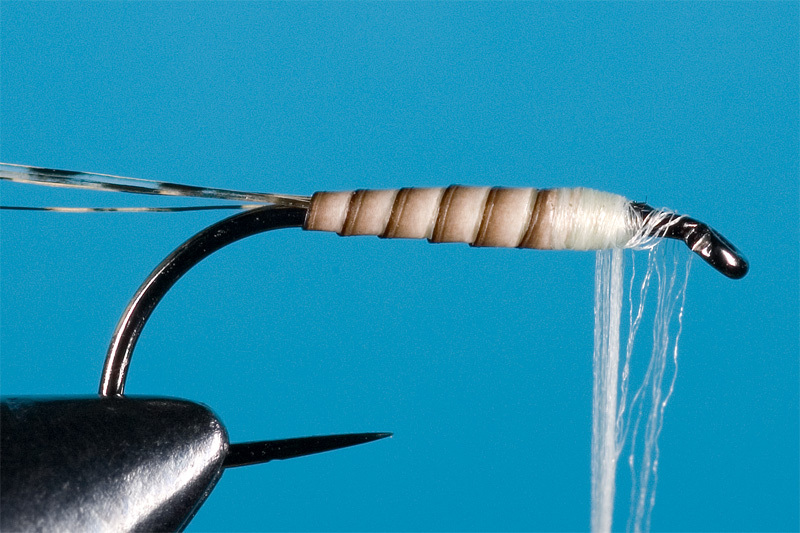 It is important to know that the external side of the barb is nicely colored, glossy and the inner side is more white, softer and more fragile. 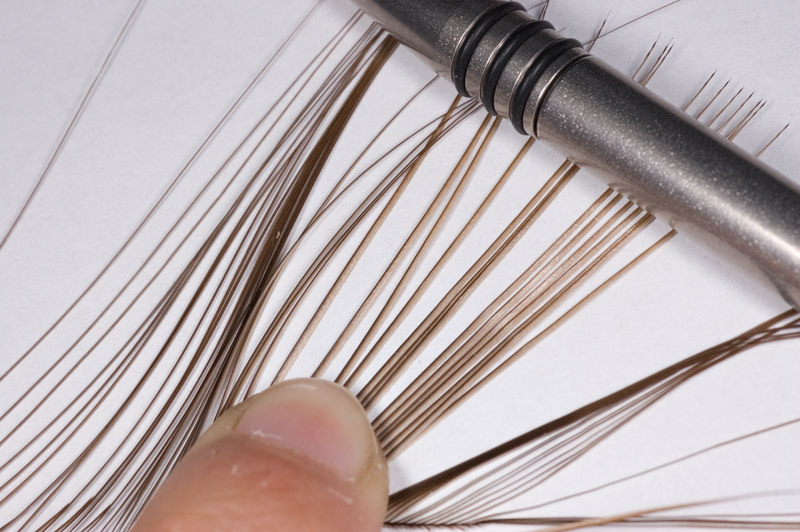 In the photos below the barb is fixed at its bottom so that the external, glossy side of it appears on the exterior. Here appears the texture of the body dependent on which side of the quill I used. If the other side of the quill is used on the exterior, it will be more fragile and breakable. 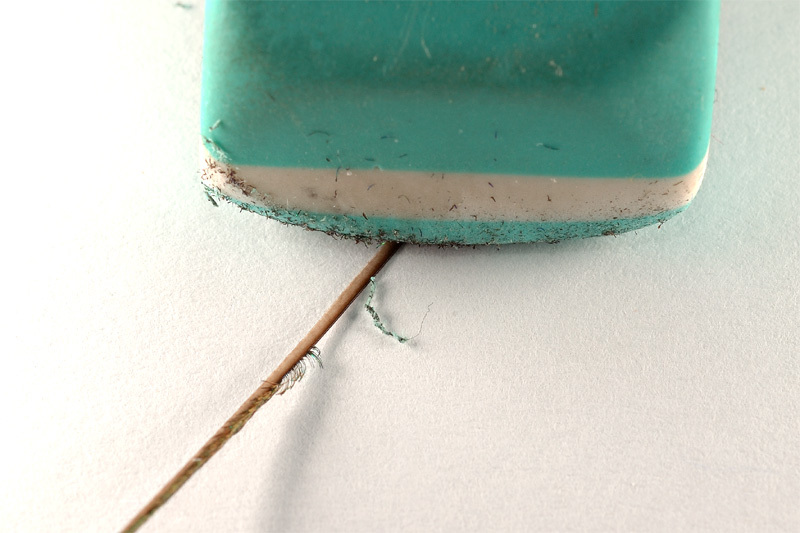 Thin cracks can immediately be seen. 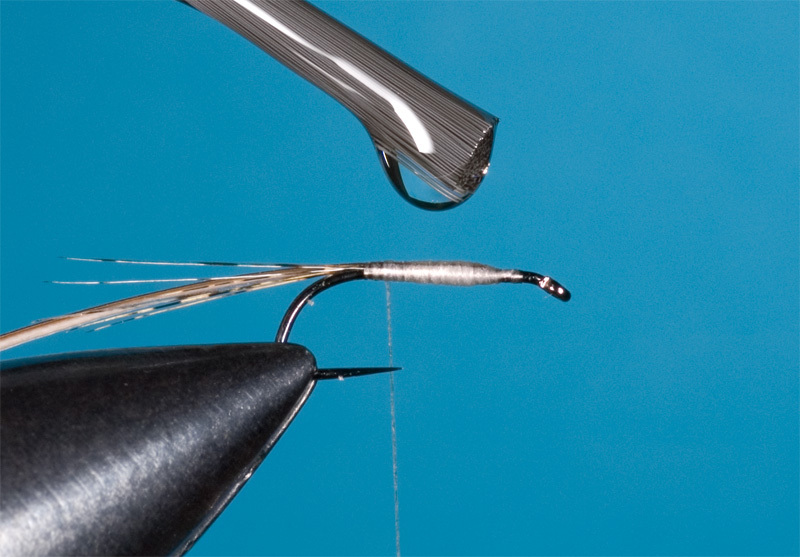 To increase the durability of the fly, before making the body put a drop of head cement on the shank of the hook. Here are the catchy outcomes. 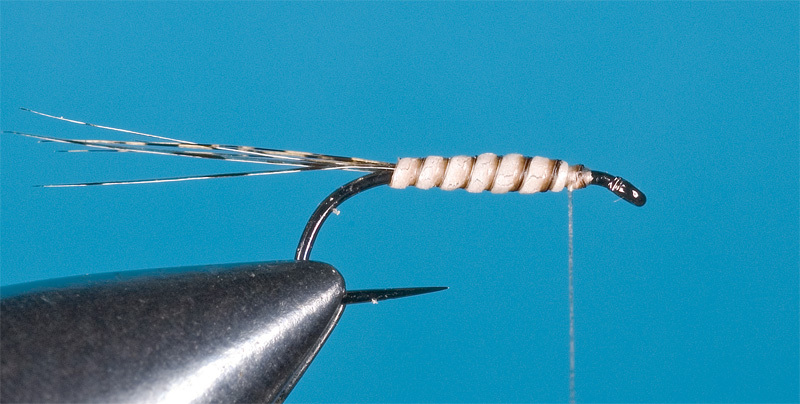 This entry was posted in Fly Tying Tips and Tricks by Lucian Vasies. Bookmark the permalink.